The research project PolyPepSkin will focus on the development of new topical therapies for the treatment of inflammatory skin diseases such as psoriasis. 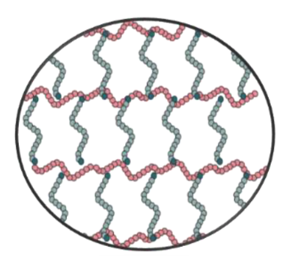 The new approach consists in using novel biodegradable and biocompatible hydrogels based on copolymers of polysaccharides -polyaminoacids/polypeptides as transdermal permeation enhancers transporting anti-inflammatory drugs. A collaboration between scientists of three public and private entities participate in this project: Polypeptide Therapeutic Solutions S.L., Centro de Investigación Príncipe Felipe and Universitat Jaume I are working towards the development, characterization and biological implications of these new treatments. Topical administration of drugs for skin disorders reduces the risk of secondary systemic effects. However, most hydrogels for topic administration already in the market use synthetic crosslinkers that do not provide any intrinsic activity and its degradation results in toxic subproducts. The development of biodegradable hydrogel-carrier hybrid systems, using endogenous polypeptides as ingredients/excipients of the formula, will allow the skin to metabolize them naturally in biocompatible fragments providing intrinsic activity in the skin biosynthesis mechanism. Moreover, this system has been demonstrated to promote skin permeation of the embedded active principles (APIs) for enhancing the therapeutic effect against inflammatory diseases. The implementation of this project will lead to the development of a product which will be tested in biologically relevant models to determine the best efficacy/safety profile, and finally, it is expected to provide the necessary test items (safety, chemistry, fabrication and control) to enter phase I clinical trials for treating topic inflammatory diseases. The Quality Management System of PTS is based in the cGMP for Active Pharmaceutical Ingredients (API) manufacturers (ICH guide Q7A). PTS Analytical Laboratory is GLP certified and develops, validates according to ICH Q2 and transfers, tailor-made analytical methods for starting materials, in-process and stability samples as well as final products to meet our clients needs by harnessing our in-depth knowledge of polymers as well as our understanding of the standards regulating their use.